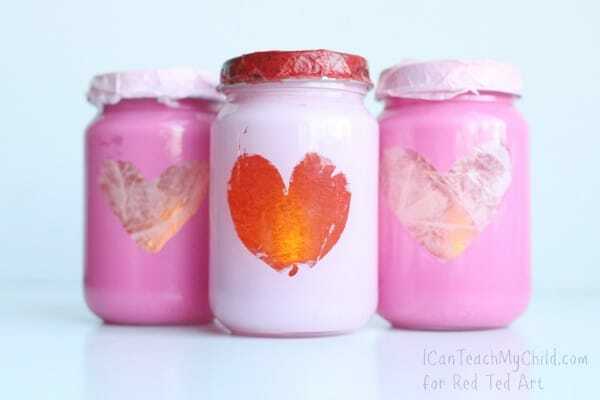 Today we have yet another great easy heart craft guest post to share with you – today it is all about Valentine’s Day Tea Lights – recycle some old baby jars to make these beautiful little Valentine’s Day Decorations! 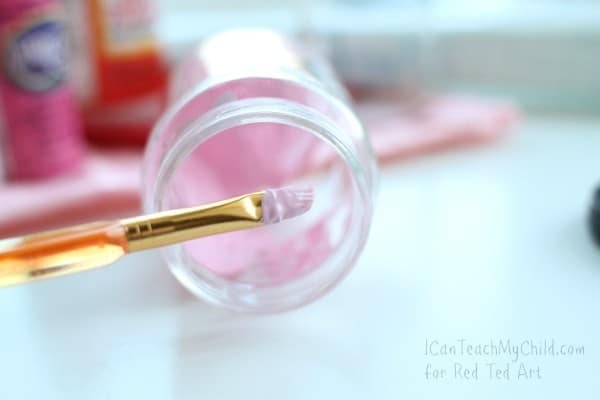 Over to Jenae from I Can Teach My Child! Having a baby in the house, I am constantly trying to find ways to repurpose baby food containers. 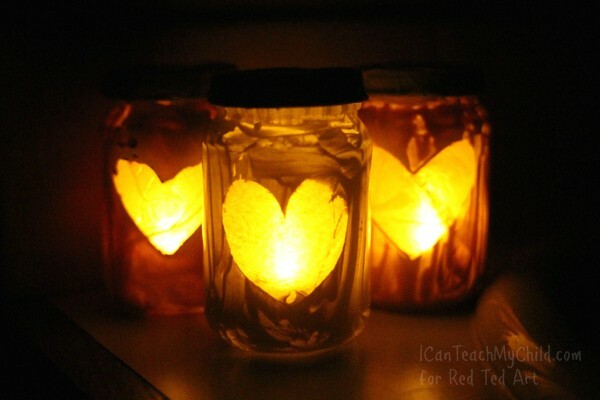 My boys and I had a great time making these sweet tealight Valentines from glass baby food jars to give to their grandmothers. 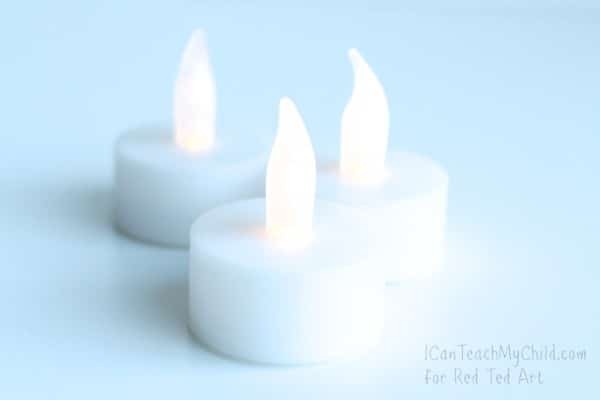 A battery-operated tealight makes them completely safe and reusable year after year! 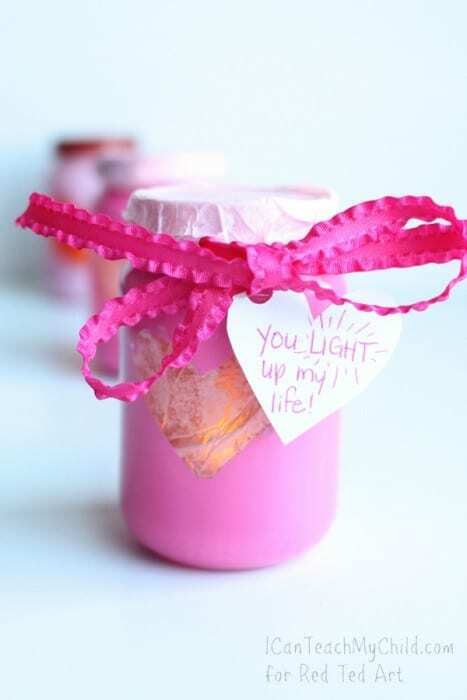 Here’s what you’ll need: Baby Food Jars, contact paper, acrylic paint, tissue paper, Mod Podge (or a glue/water mix), and battery-operated tealights. 1. 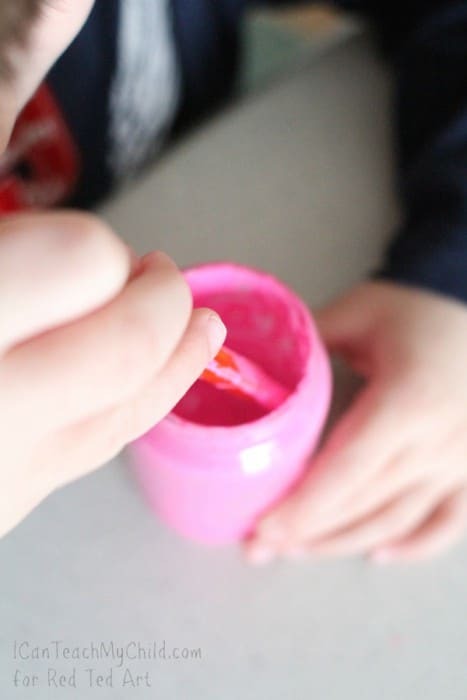 Cut a small heart out of a piece of contact paper and secure it to the inside of your baby food jar. 2. 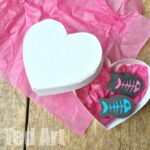 Have your child help you paint the inside of the entire jar with your acrylic paint, using caution when painting around the contact paper heart. 3. 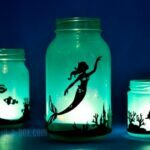 After your jar has been completely painted, allow it to dry fully (it could take up to several hours, depending on how thick the paint is). 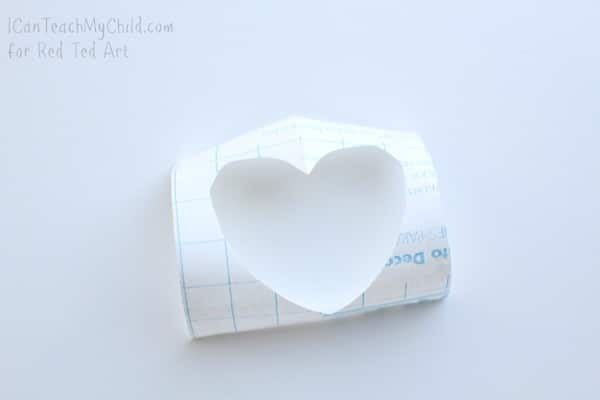 Carefully remove the contact paper heart. 4. 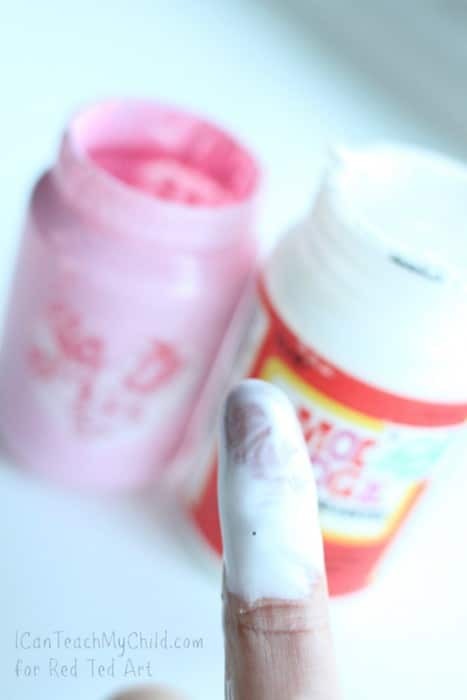 Put some Mod Podge on a paintbrush (or just use your finger like I did) and spread it on a small piece of tissue paper. 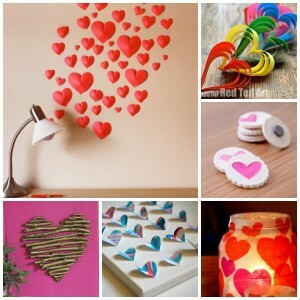 Place the tissue paper on top of the heart on the inside of the jar. Cover with another layer of Mod Podge. Let dry. 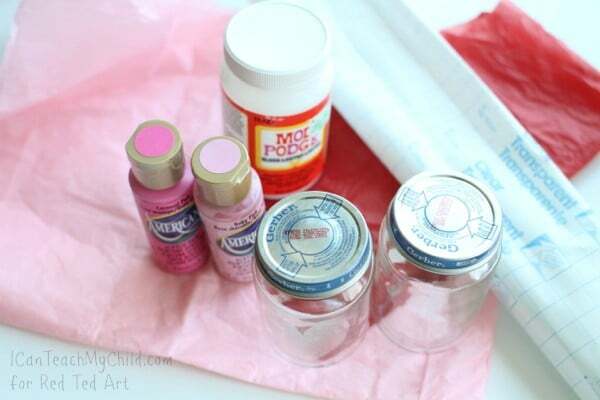 Optional: Cover the lids of the baby food jars with tissue paper and Mod Podge. 5. 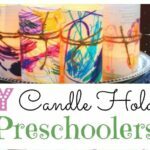 Once dry, add your tealight! 6. 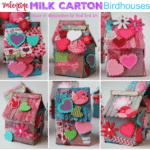 Add a ribbon, if you would like, and a sweet note! 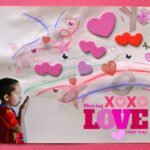 Jenae is a former first grade teacher turned stay-at-home mom to two boys (ages 7 and 5) and a baby girl. 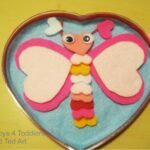 She loves spending time with her family and sharing fun and educational activities for young children on her website I Can Teach My Child. 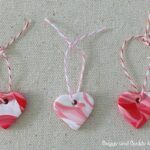 Lots more Valentine’s Day Decorations for you to browse! 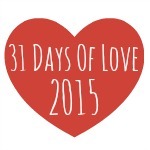 Full list of 31 Days of Love to browse for Valentine’s Day here!